I love sports games. I always have. Don’t get me wrong, I’m about as competent on the football field or on the basketball court as a pet rock on stilts… I was always the kid at school during baseball games who would pray for the love of God for the ball to stay the hell away, but when it comes to videogames, there’s just something that clicks. 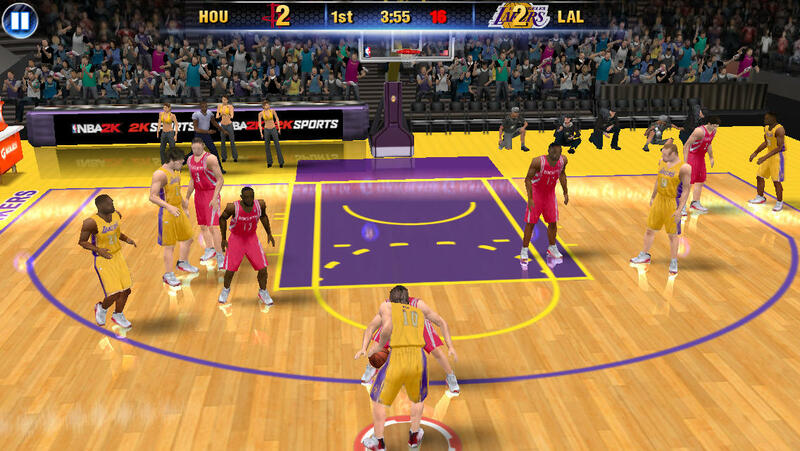 NBA 2K14 ($4.99) is, you guessed it, a basketball game. And while I’m a big NFL fan (odd for someone from a country dominated by rugby), I’ve never really gotten into following basketball in the real world. I have, however been a fan of the game as a digital sport since the days of playing Jordan vs. Bird on my Commodore 64. In my opinion, basketball is pretty much the perfect sport to be ported to a videogame console, it’s fast, challenging, high scoring and pretty tough to get wrong. Until now. 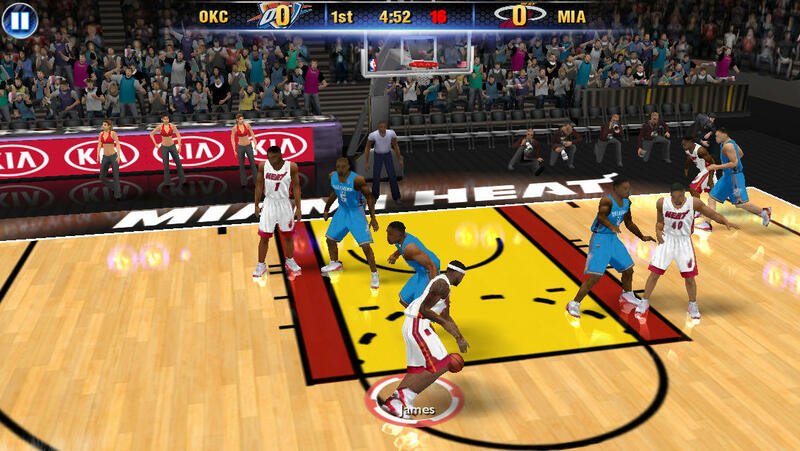 Now, last year’s NBA 2K13 ($2.99) was a bit of alright. Snazzy graphics, silky controls and a top-notch commentary to compliment the on-court shenanigans. NBA 2K14 is almost the same game, only without the commentary. This wouldn’t be overly bad if the rest of the game was A class, but it simply feels like playing a beta build. It’s clearly unfinished. Whilst the graphics remain largely unchanged for the previous iteration and the controls and gameplay are still of a high standard, another glaringly obvious issue lets the team down (sorry, again). The ring announcer misses a lot of the calls, such as penalties and goal shots and when he does bother to pipe up, he’s usually several plays behind, it can actually be quite distracting during the heat of a game. Graphically it’s not all puppies, unicorns and sunshine, either. As with last year’s game, the player models are reasonable (if a little varied in quality) and everything looks great from a distance, but when the camera jumps into the TV styled cut-scenes, everything gets a whole lot of ugly. Polygons stick out like Waldo in an empty room and sometimes the camera moves into completely random positions. In one game after the first quarter I found myself looking at a man’s weirdly triangular crotch for several seconds… trust me, I was trying to make the game skip screens, but it wasn’t playing ball (sorry, again). As I said, everything looks nice from a decent distance and during gameplay all the animation is as smooth as butter and players run, pass, shoot and jump realistically. Presentation is also of a decent quality from the menus through to the nice touches such as cheerleaders and team mascots. Music and audio effects (bar the aforementioned announcer) are also of an excellent standard. Play-wise, NBA 2K14 is still a decent experience. The game does lose a fair bit of its charm and personality from the removal of the commentary, the controls are still slick and responsive and the adrenaline doesn’t stop pumping during closely matched games. In the way of game modes there are multi-season (29, 59 or 82 games), practice, multiplayer and quick game. There’s also a new “Lebron: Path to Greatness" mode which follows Lebron James through various games that feature specific objectives such as winning by a certain amount of points, obtaining a set number of rebounds etc. This mode adds a bit of depth but to be fair, not enough to warrant the price if you already own 2K13, considering the loss of commentary. I’d like to talk about the multiplayer mode too but each time I attempted to play a game it failed to find players. The controls are offered up in two flavors, a standard “d-pad" approach and a tapping and sliding one finger system that, to be honest, whilst being designed to be simpler, confused the hell out of me. I admit that I am as bright as a bag of hammers, but the game is just too fast to be any good with this control mode without a bit of practice, so I stuck to the tried and true, and I must say, very well implemented classic scheme. NBA 2K14 is a decent game and if it wasn’t for the prequel, I’d more than likely suggest snapping it up. As it stands, however, I seriously recommend purchasing NBA 2K13 instead – It’s the same price and the commentary and up-to-speed court announcer make it worth the investment. Both are premium games, which is a big tick in my book, though 2K13 does offer extra optional content via IAP. 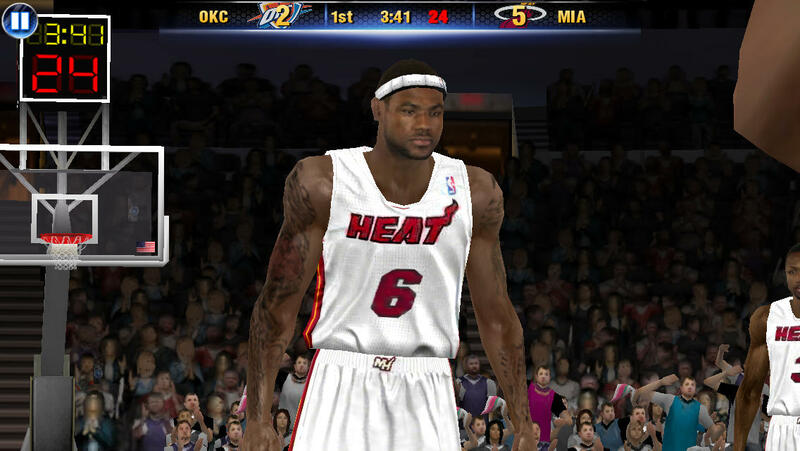 If you already own NBA 2K13, this one just isn’t worth your while.